My ride finally ended in Reykjavik after I cycled along the Golden Circle. Instead of taking the straight road from Selfoss to Reykjavik which was only around 50km away, I turned north towards the Geyser to see the part of where the North American Plate and the Eurasian Plate split in Tingvellir. 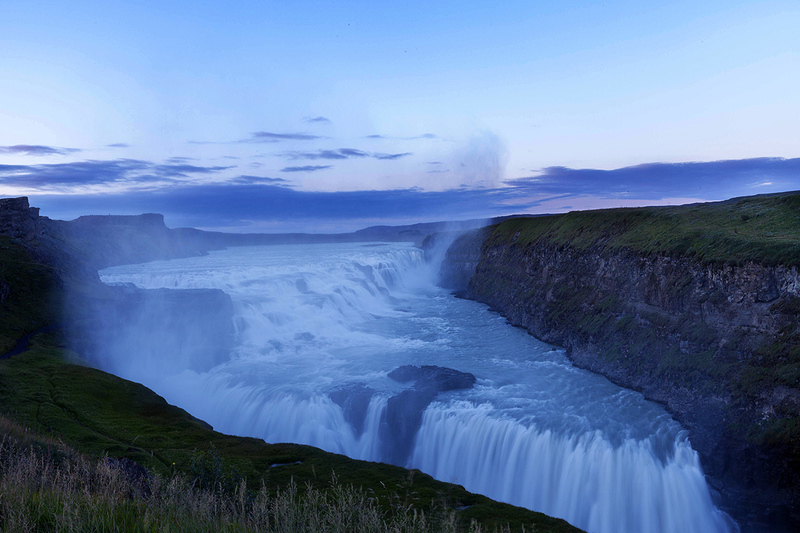 There is a huge waterfall here called Gullfoss. Somehow here, I don’t really enjoy the scenery anymore. To me the waterfall is nothing special. There were sooo many tourists around here and the waterfall is just huge, that’s all. Only the size… Or maybe, because Ive been almost everywhere in Iceland for 2 months now, and finally the landscape here is all the same to me. Maybe Ive seen enough of Iceland? Or maybe I just don’t enjoy being surrounded by thousands of tourists. 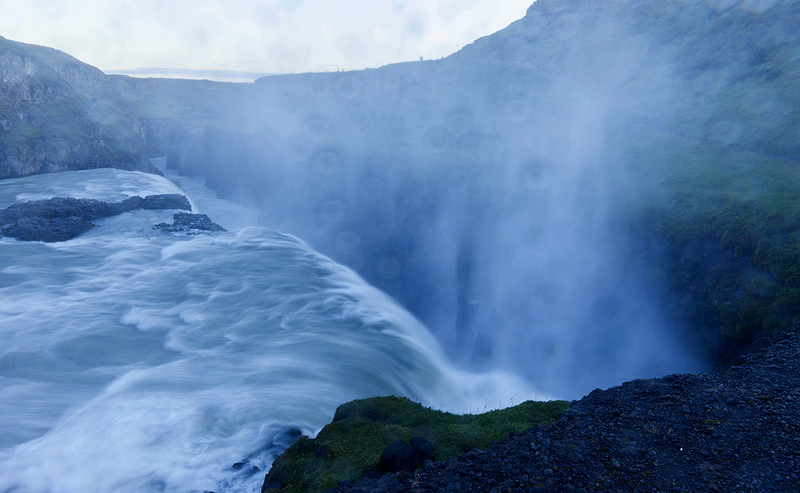 Here in the Golden Circle, is very famous part of Iceland so its flooded with thousands of tourists here from all over the world. 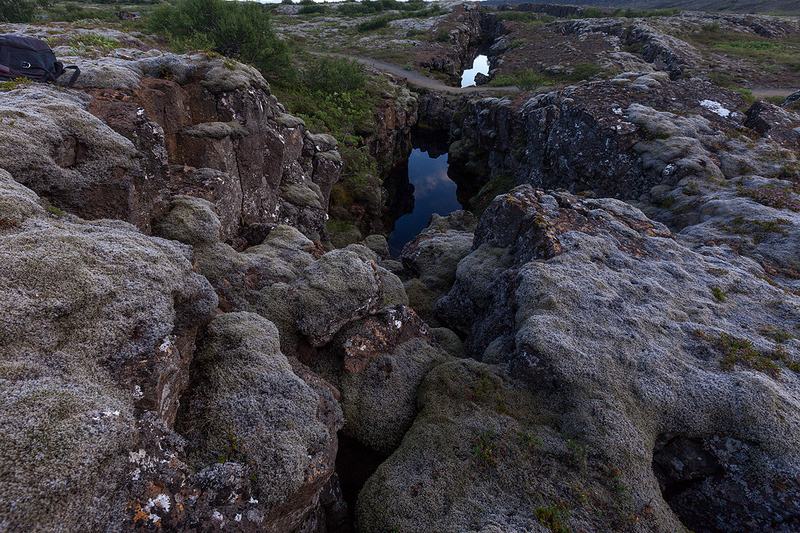 the American plate and the Eurasian plate separates at the rate of around 1cm each year! Something quite bad happened to me after I completed my ride in Iceland when I got back to Reykjavik. I was hungry (as usual duhhh) and only have 500 krona inside my wallet (which is useless in this expensive country). I reached the campsite in Reykjavik around 5pm on Monday (6th August) and started walking towards the city centre from my campsite in search for ATM machine. After a long walk, I reached the first ATM machine I found and realized that my ATM card didn’t work! The machine kept rejecting my card. Oh no, I then walked to find another ATM machine and same thing happened. My card got rejected again. Same goes to the 3rd and 4th ATM machine, all of them were rejecting my card. I got nervous, didn’t know what to do, I don’t have enough credit on my phone to make any calls or even a single SMS! Hungry and tired, I quickly walked back to my campsite and get connected to the internet. I have no other choice but to use my contacts. 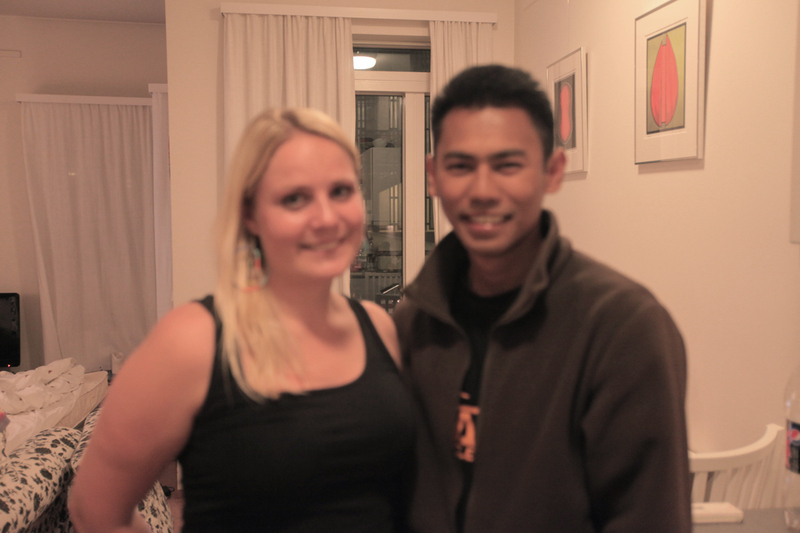 I have an Icelandic friend here living in Reykjavik, we got to know each other from my Swedish contacts. Her name is Sigga Baldursdottir. We never met in real actually, just friends on facebook. 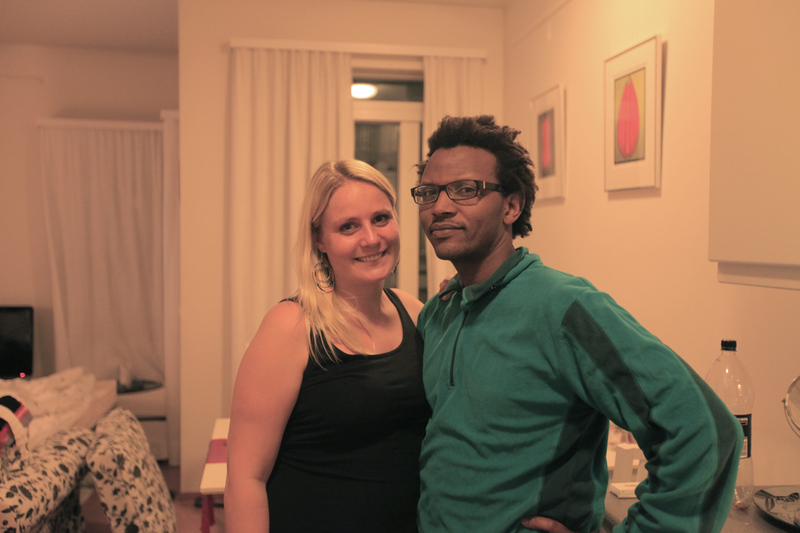 Shes an Icelander but she travelled a lot in Africa. I then send her a message on facebook saying that Im now in Reykjavik and in trouble, that I need some help. Thank god she read my message fast and straight called me on my phone! She just asked my current location and she drove straight towards me. Only a few minutes later, she was waiting for me in the reception of the camping site in Reykjavik. I find it very amazing, we never meet in real life yet only with 1 phone call, she cooked dinner for me and lended me 5000 Icelandic Krona! 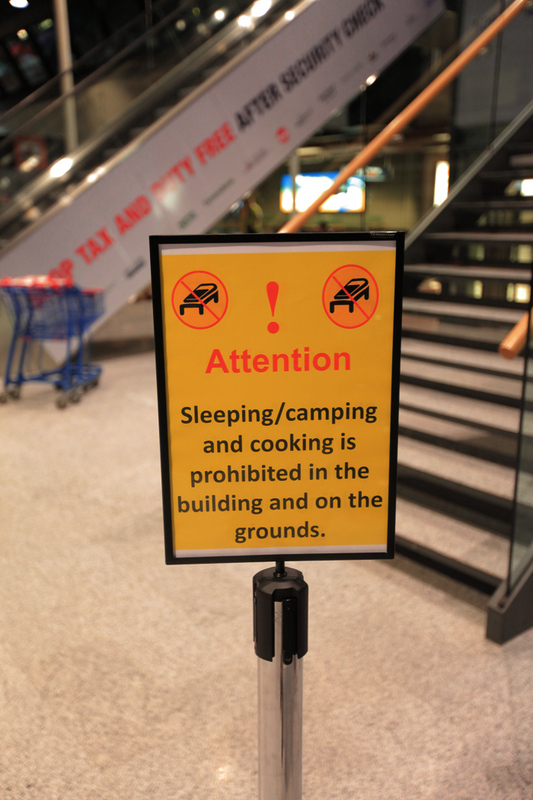 Another amazing Icelandic hospitality here? :) She was busy on that day so we met only for a while. I told her that of course I will pay back the money I borrowed from her once I find the solution of the problem. I then got back to my tent and finished the dinner in less than 3 minutes hehe. I was really hungry. The next day, I walked to a supermarket away from the city centre to buy some groceries. I found another ATM machine there and thank god, my card finally works! Phewww, I then drew enough money to survive a week in Reykjavik, to pay for the excess baggage and my bicycle to transport it to Scotland and to pay back the money I borrowed from Sigga. I was relieved that finally the problem ended here. I then spent the last week of my time in Iceland here in Reykjavik, walking around town and its raining almost all the time now. But it doesn’t matter anymore to me now, since I wasn’t cycling anymore. 2 icelanders, one african and one malay man chilling having dinner together talking nonsense for hours lol! I spent some of my rest days here with Sigga and her friends, bought her lunch as she was so kind to cook dinner for me when I was starving and paid back the money I borrowed. The rest of the time, I got myself busy researching on Scotland, since I will ride there very soon. I felt relieved that there are many Malaysians living in Scotland! Even some of my friends are there all over, Glasgow and Aberdeen. I plan to visit them when I pass by these cities, invade their space, you know, sleep in their bed, swarm their fridge with my stuff, use their bathroom, roll freely on the grass in their backyard… all that… u know…. As for now my ride in Iceland is officially over. Iceland is history for me now. Ive rode some 2250km in Iceland, slowly for around 7 weeks. Its 8 weeks in total I was in Iceland including a week of stay in Reykjavik. Soon I will continue my ride in the land of the brave Scottish! The land is filled with ancient castles and desolated fortresses, beautiful landscapes especially their beaches, where the Vikings used to haul their ships. Some people warned me about the harsh Scottish weather when they heard I plan to ride there. But once they realized that I rode 7 weeks in Iceland, they said oh yeah, I guess ure ready to go :) But surely, I will definitely prepare myself to face the weather in Scotland. 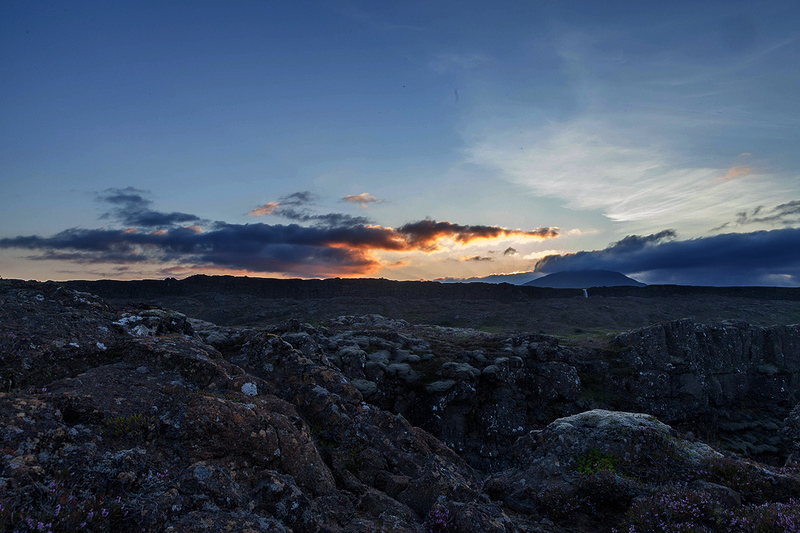 Sigga, if you ever read this post, I would like to say thank you soooo much with the Icelandic hospitality u showed me. Thank you for feeding this hungry traveller who really needs your help at that particular time! One day I will repay you, unless of course if I cant find you or if I forget. Hehehe… But if you ever come to the continent of Asia, and face any problem, please let me know! 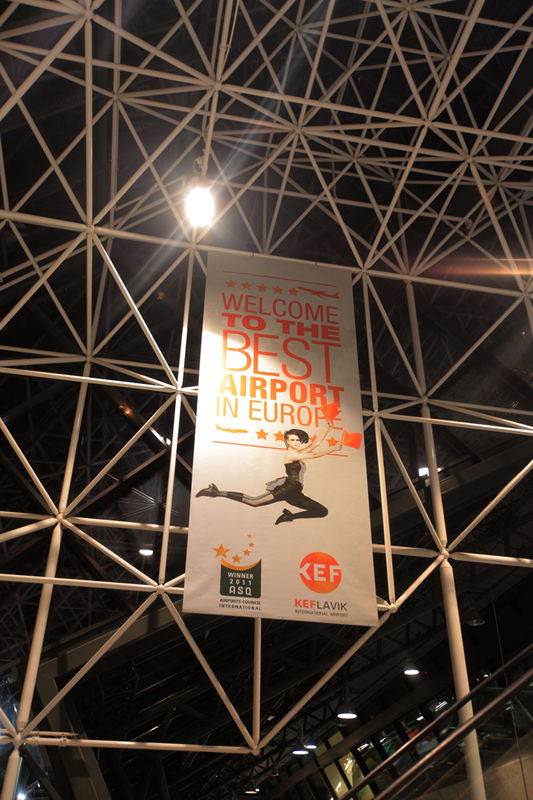 I’ll fly to get to you! Syabas bro! Very proud of you. Wow.going to scotland.youre rite.a lot of malaysian in scotland.just find mosque at big cities such as edinburgh or glasgow. Just one question.how much have u spend in iceland? how about your wife?why she is not interested to tag along? khuzai – my long time friend.. thx mannn!!! You really lucky bro.Just fyi if in case you past scotland to dublin around month end maybe we can meet up somewhere.I’ll be my there with my wife.I’m sure will cook something good for you bro.Bon voyage. This is a really WOW adventure! Keren abis! And this sentence made me laugh out loud: “Sila jangan buat lawak. Ini adalah airport, bukan hutan!”. Hahahahahahaha…. 1st time singgah sini dari Al Hijrah website! WOWW!!! Interesting! Semoga selamat perjalanan seterusnya! Just cant wait to ‘cycle’ with you on your next journey in Scotland.. 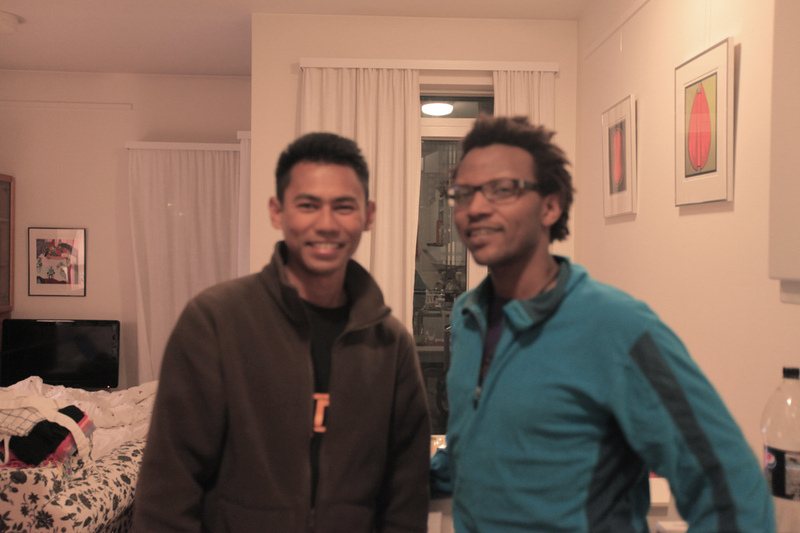 There are Malaysian living in Iceland.!! rugi tak jumpa your blog sblm nie. Steady lah brader, a lot of things could be explored. Really inspiring!! Hi there! You are being featured in MSN Malaysia http://specials.malaysia.msn.com/merdeka/one-mans-journey-with-his-bicycle-around-the-world#image=1. Congratulation. I came across your site when I was searching for Filipinos in Iceland as I’m just searching if there are Pinoys there since Iceland since I’m dreaming and hoping to be able to go there soon. I’ve read all your Icelandic adventure and it makes me want to explore Iceland by bicycle even if I don’t have any past experience traveling by bike. I’m just dropping in to say that I enjoyed your post and the constant mention of Kyrgystan made me curious, will read about it next!